If you’re serious about playing music, you’ll want to invest in a fully compensating euphonium to ensure you get a rich, even intonation throughout the instrument’s range. Even a student-level player should spend a little extra money to get the best euphonium for their needs. It not only makes the euphonium more in tune, it also prevents you from having to learn two sets of fingerings. The non-compensating euphonium will require you use special fingerings in the lower register to play in tune. A euphonium will also require some manual embouchure adjustments in the lowest range of the instrument. The color and materials of the plating on your instrument also plays a role in how the instrument sounds. 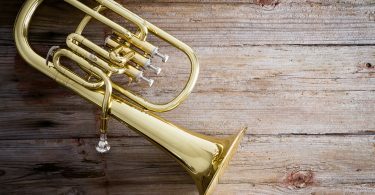 A gold-colored instrument will sound brassier, a silver-plated instrument sounds mellower and a brass-plated instrument will have a sharp sound like a trombone. The European shank provides more flexibility and control. The quick-action makes it easier to rip through any passage. Beginners will have an easier time developing finger strength, too. This durable instrument will provide many years of use. I’ve performed professionally with some of the nation’s top bands and have a Master’s in Music Composition from a top-tier university. Throughout my college education, I have played the euphonium in several high-profile situations. I have also toured Japan where I performed solos on the euphonium with a wind symphony. I also got an invitation to play with the President’s own Navy Band. All of this experience has put me in touch with some of the best euphonium players in the world, including Mark Jenkins and Brian Bowman. In fact, I performed in the All-State Band and as a second chair euphonium player to Mark Jenkins during all four years of high school. I was also in a western regional band that included Arizona and Nevada. The bottom line is, I know euphoniums, as well as what the professionals play and recommend. There is a lot of misinformation about the best euphonium to purchase for your needs. But don’t worry because I’m here to point you in the right direction. I’ll also give you some advice for your next or first euphonium purchase. When I first started out, I went to the local music store to buy a new euphonium. The euphonium I ordered was supposed to be a compensating euphonium. I didn’t much know what that meant at the time, but I knew it was important. When I went to pick up the instrument, they offered me a discount to take the incorrect instrument. I caved and purchased the non-compensating euphonium, and it was the worst decision I ever made in my performing career. My point is that you must get a compensating euphonium because it will allow you to perform on a professional level with proper intonation. It also makes it possible to perform the full range of the instrument. A non-compensating euphonium will not be able to play as low or play every note in the lower range. So if you follow no other advice, get a compensating euphonium. There is a distinction between the best euphonium and the baritone. And it goes beyond the fact that the baritone doesn’t have four valves. The baritone is a different instrument from the euphonium. But since the instrument plays in the same range as the euphonium, some bands will use a baritone in place of a euphonium in their band. The problem is that the sound is different. 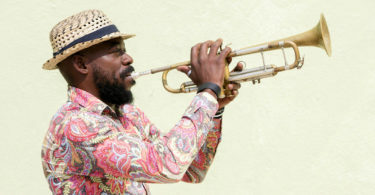 A baritone solo will have a more narrowly-defined sound similar to the sound you might expect from a trumpet or trombone. The euphonium is fuller and softer. It sounds more like a French horn without its edge. There is an old joke with euphonium players saying you can play only one articulation: legato. Although this is somewhat true, it’s also why the euphonium has such a pleasing, melodious sound. The main difference is that a baritone has a smaller bore and the bell tapers like a cornet. The euphonium has a larger bore that tapers like a flugelhorn. A euphonium also has a continuous taper, while the baritone tends to curve at the bell for a more directed sound. 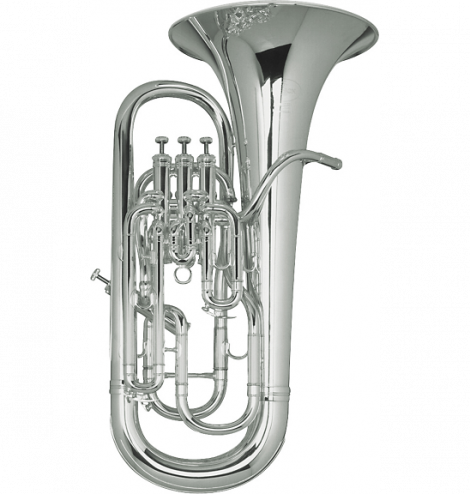 Large Euphonium or Not: If you want a large euphonium sound that will require more air and control, the large-bore euphonium may be a good fit for you. If you’re a smaller player, then a larger euphonium may be more difficult for you to play. Match Your Size and Ability: It’s also important to be honest about how you play. Don’t fall for the machismo associated with the larger instruments. Instead, make sure you pick one that matches your size and ability. Test Them First: If you have narrowly defined lips, a small-bore euphonium may make more sense. The larger instruments may cause you to tire more quickly. The best way to find out what instrument you should get is to play each instrument for a week or so. Large music companies like West Music will allow you to do this. You can also go to your local music store to try out an instrument before going online. 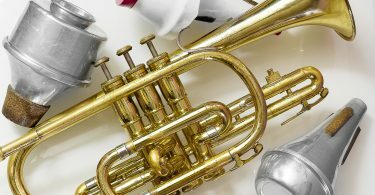 Check Out Mouthpieces: If you’re insistent upon testing your instrument before you get a euphonium, try different sized mouthpieces. Try a large shank mouthpiece and a European shank mouthpiece. 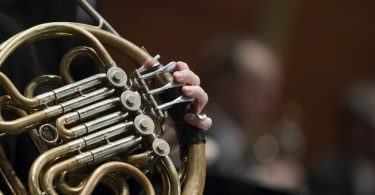 A smaller mouthpiece will allow you to be more flexible on the euphonium, but that doesn’t mean you can’t learn to play with a large shank mouthpiece. Balance Sound with Playability: The smaller shank mouthpieces provide more resistance, which can help you to slur between notes more easily. The larger shank mouthpieces put more of the focus on the strength of your embouchure, but I personally feel they provide a better sound even though they can make an instrument more difficult to perform. The color of the instrument plating on higher-quality euphoniums should be either gold or silver. Besson makes some of the best-sounding instruments available on the market. However, these instruments also tend to have intonation issues. For this reason, I tend to avoid recommending a Besson instrument to a beginner student. The plating is important since it affects the overall sound of your instrument. The gold-plated euphonium will sound more brassy and comes closer in sound to what a trombone sounds like. 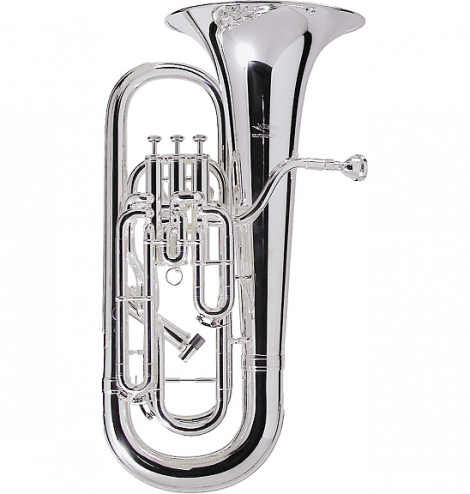 The silver-plated euphoniums will have a more mellow sound that is more typical of your idiomatic euphonium sound. There are two main types of setups when it comes to the placement of valves. 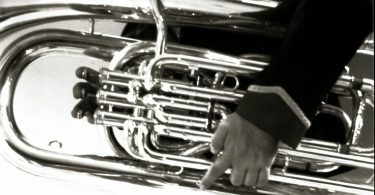 The professional and traditional setup uses a setup with three valves at the top of the horn and one valve on the side. No matter what horn you choose, you should aim for this setup to develop good dexterity and coordination between the left and right hand. Forcing a student to switch as they become more advanced will create a lag in performance ability. Avoid the inline four-valve setup common on student level horns. When possible, opt for an inferior quality horn that uses a traditional setup. While a student can upgrade as finances improve, it is best to learn the technical ability and coordination from using the left hand to support the instrument and activate the fourth valve early in the learning process. A plastic euphonium is only suitable for a small child who can’t care for a real instrument. Plastic euphoniums don’t provide the right sound, but many of them use steel valve casings. This makes the instrument suitable for a child because the valve action is like a brass-based horn. They are also extremely affordable, so owning one of these instruments may fun to keep around for the professional player who wants a robust instrument that they can kick around a bit. There are a few key brands you should aim to avoid when choosing an instrument. The three top brands include Hirsbrunner, Willson and Besson. Most people consider the Hirsbrunner brand as the best manufacturer of euphoniums, but they only complete small runs of euphoniums. They have sold most of their euphonium-building operation to Adams. Due to the difficulty of finding a Hirsbrunner euphonium, this brand is not listed as the recommended choice. Some other brands to avoid include Conn, Jupiter, Tiger and any instruments that are convertible, multi-use or for marching. These instruments are not well-suited to concert band performances. Instead, look for the best euphonium from the more reputable, well-known instrument makers design and build. Based on all the key factors, including real-world playability, the best euphonium for the serious or amateur player is the Willson 2900. This euphonium has it all. It is a compensating euphonium that will make it easy for you to play in tune. The valves are short and responsive, which makes it the ideal instrument to play fast moving lines. Beginners will have an easier time developing the finger strength necessary to play quickly. The quick-action also makes it easier for you to rip through any passage. 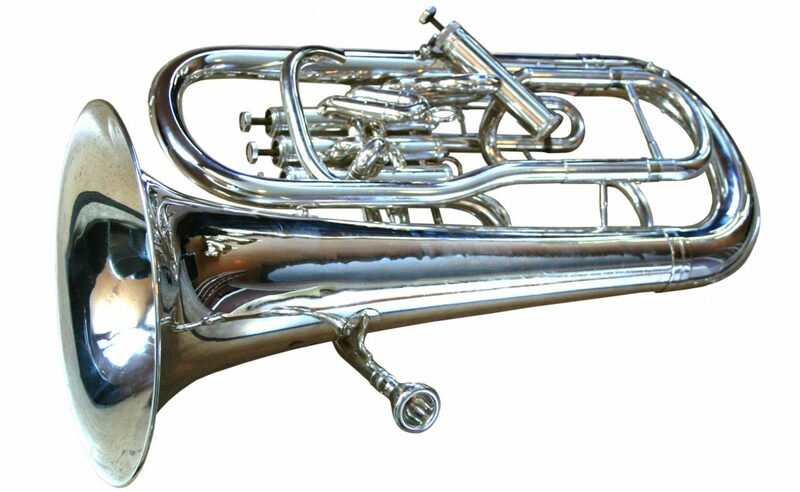 The instrument only comes in a silver-plating, which is the ideal sound for a true euphonium. 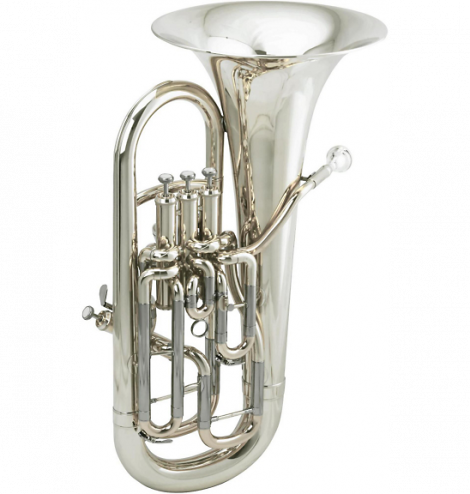 While the brass euphoniums have a nice sound, when looking for a euphonium, that characteristic euphonium sound only comes from a silver-plated instrument. 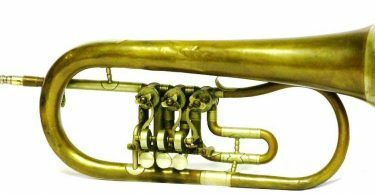 If you decide to buy a second horn in the future, get one of the Besson gold-plated models. If you can only buy one instrument, this is the instrument to save up and purchase. It will provide you with years of use, and the world’s top players swear by this horn. This euphonium uses the European shank, which gives you more flexibility and control. You’ll be able to slur more effectively and play more smoothly. You’ll also get a more focused sound with a European shank. Try out several mouthpieces until you find one that works well for you. It should be noted that the large shank model is also an exceptional instrument. The only reason to choose this model is if you have a large lung capacity or if you are doubling between the bass trombone or tuba and euphonium. A larger model will make it easier to switch back and forth between multiple instruments. However, for the dedicated euphonium player, the European shank is the best option available on the market. This instrument is also a true euphonium. It has the perfect-sized bell for all your needs. 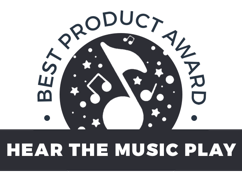 So you’ll be able to cover a band if you need to with its outstanding sound. For those who need a powerful, reliable and professional euphonium, you can’t go wrong with the Willson 2900S. A slightly more affordable option that doesn’t play quite as well as the Willson is the Besson Sovereign Compensating model. This model is silver, and it contains all the features you need to maintain a high level of competitiveness. It is also about $1,000 to $1,500 less expensive than the Willson. However, the Besson models tend to have an issue with their intonation. The trade-off is that many professionals swear by the majestic Besson sound. If you’re not concerned with intonation and you’re willing to fight the instrument a bit, the Besson could save you some money and give you a unique sound. On all other fronts, the Besson is a comparable and suitable choice for the amateur. One thing to note is that the Besson does have non-compensating models if you want to save a significant amount of cash. If that’s the case, you could by a Besson non-compensating model for a third of the price. When you have more money, you can always jump up to the compensating model. This will enable you to enjoy a high-quality instrument while saving some money at the same time. One thing to note, if you do choose a non-compensating model, you have to use alternate fingerings in the lower range when you activate the fourth valve. This is because the fingerings used for a compensating horn won’t produce the same pitches on a non-compensating instrument. A competent player will find this a suitable professional level horn, and it should be perfect for use in all manner of orchestras, wind ensembles, bands and quartets. It’s ideal for the professional player who wants to save $1,000 on the cost of the best euphonium for them. This euphonium is an exceptional option for performers who want a unique sound, but still want a euphonium that performs with exceptional clarity. This euphonium has a professional response and players will appreciate the quick action of the keys. Unlike some of the lower line versions of the Besson brand, this one doesn’t suffer from most of the intonation issues of the student models. If you’re a professional looking for something unique, this euphonium stands out with the gold-plated braces and valve caps. It’s a compensating euphonium, so you’ll be able to play the extended low range in tune as well. Additionally, the fourth valve is positioned on the side of the euphonium to give you that extra edge when playing fast passages. 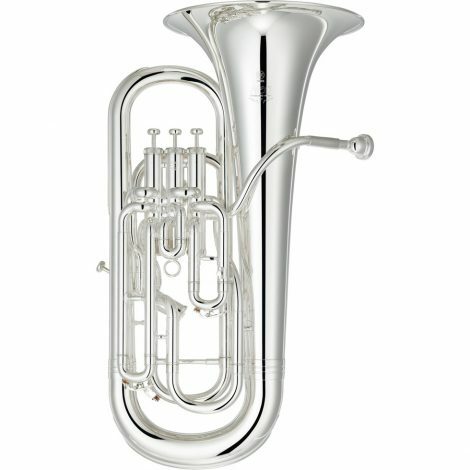 Adams took over production of the much-coveted Hirsbrunner brand euphonium. While they lack some of the industry clout, the manufacturer makes exceptional instruments. You’ll be able to get a high-quality, professional-level euphonium for a couple thousand dollars less than a Willson. 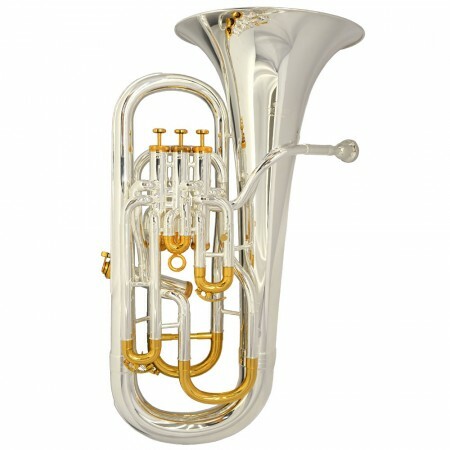 This euphonium is fully compensating, and it offers a rich and clean range throughout the registers. This instrument is heavier than most euphoniums on the market, which gives this euphonium a solid, rich sound. If you’re a doubler on a tuba or bass trombone, this is a great option to have in your collection. For those who want a lighter instrument, consider the E1 euphonium. The bell is made of yellow brass and the plating is silver. This gives the euphonium an exceptional sound. Additionally, the reinforced valve casings make this instrument feel sturdier in your hands. The weight may make it difficult to perform a standing solo, not making this the best euphonium for that purpose. This euphonium is a compromise between performance and price. The mid-range price provides a fully compensating system, so you can perform the most complex music. 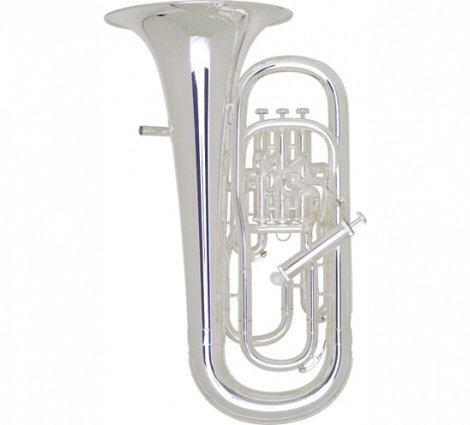 You’ll also enjoy the silver-plating that offers a traditional, characteristic euphonium sound. They designed this instrument using state-of-the-art Yamaha technology. It also has a wide bell to give it a wide and expansive sound. It includes a mouthpiece and a hard case to protect your best euphonium throughout the year. The only drawback to this euphonium are the stiffer valves. This instrument doesn’t feel as smooth or as fast as the Besson and Willson, but it performs well for competent musicians. 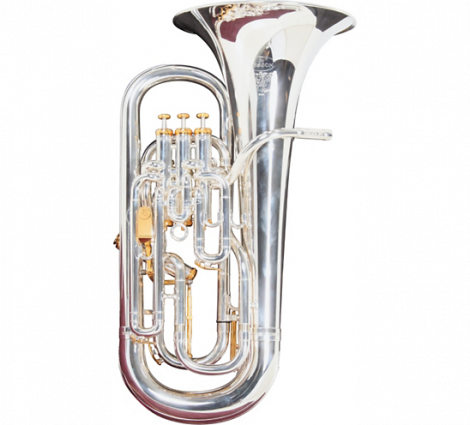 This compensating euphonium provides excellent intonation and a stable response. It uses a large shank, but you may want to purchase your own mouthpiece. The Meinl euphonium is for those who want a mid-range euphonium with a sound that is rich, mellow and full. This brand is famous in the low brass world, and when it comes to euphoniums, they are no exception. It features heavy gold brass and a traditional valve setup with three valves on top and one valve on the side. This is the professional valve setup you should look for in any professional or student model euphonium. While I didn’t recommend the Jupiter early on in this article, if you must choose between a compensating or non-compensating model to save money, consider the Jupiter compensating model. You’ll get a decent quality horn and won’t have to learn a separate set of fingerings when you upgrade to a compensating horn later. This horn performs relatively well, plays with good intonation and is an excellent student horn. If you want a euphonium that offers a compensating system, but you can’t stand to spend several thousand dollars on an instrument, the Schiller compensating euphonium may suit your needs. It is fully compensating, plays well in tune and provides a deep, rich sound. The instrument is sturdy, and the finish stands up well over time. This is an excellent starter horn for a serious high school student who wants to compete with individuals with more expensive horns. With this horn, students will get a clear sound, but they will want to replace the mouthpiece they include with a higher quality one. Now that you know to choose the best euphonium for you, it is time to go shopping. Hopefully, you’ll be so delighted with your choice of the best euphonium, you’ll practice and play even more.